And no one is going to complain about additional cash lining their pockets. I have been making money with Photoshop for the last five or six years now and have tried almost everything. 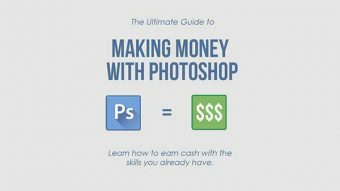 Because of this experience, I am able to present you with the ultimate guide to making money with Photoshop. Of course, this list does not include allthe ways you can make money, rather I have gone through and chosen the best and the most certain ways to make money with Photoshop. 1. 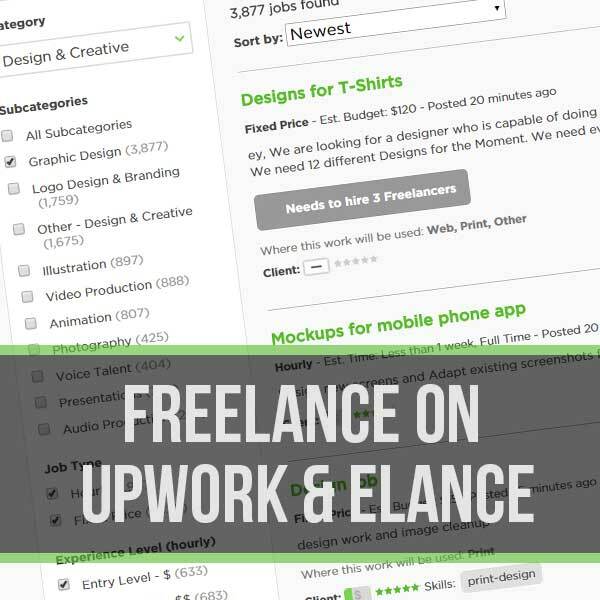 Freelance on sites like Upwork or Elance. No list like this would be complete if this wasn’t the first item suggested. While “freelancing” is certainly a cliche, I would argue that it’s a cliche for a reason. You can really make a lot of money on freelancing sites, especially if you are proficient in Photoshop. Hundreds of new jobs are posted to these sites daily, including a plethora of graphic design jobs that require Photoshop. Freelance sites like this get a lot of criticism from designers in the community. Frankly, I don’t understand why. I primarily make my living from this, specifically from Upwork (formerly Odesk). Danny Marguiles wrote a great article on the huge cash cow that these sites can be, provided you know the secret behind success there. I highly recommend reading everything Danny has written; he shares many incredibly useful tips on how really work the Elance/Upwork system in order to generate the most possible profit. I feel like a huge reason for people not using these sites more is that they give up too easily. When first starting out, they get discouraged when they don’t get awarded a job right away and leave the site. The secret is perseverance. Don’t give up after the first declined job proposal. Here are four tips that will help you get started. Tip #1: Before you sign up, really commit to giving it 100%. If you want to actually make money, you have to work for it. This means regularly checking for messages, applying for jobs consistently and doing a great job every time. Tip #2: Take time to really set up your profile. This is how your prospective client gets a first impression of you and it’s important to put your best foot forward. Tip #3: Spend time on your portfolio. Highlight your best work. Besides your profile, this is really where the client is able to judge your quality of work and decide whether he wants to hire you. Tip #4: As mentioned earlier, you really have to persevere for the first few weeks as a new user, since you don’t yet have any feedback scores. If you keep applying to jobs, though, I guarantee you will land that first job. Work really hard to please the customer and he’ll leave good feedback and everything will be easier after that. The following three articles are great places to start and will point you in the direction of further help. Thousands of people regularly browse Etsy for invitations, stationary and custom party supplies. They are also searching for unique artwork they can purchase for their homes. 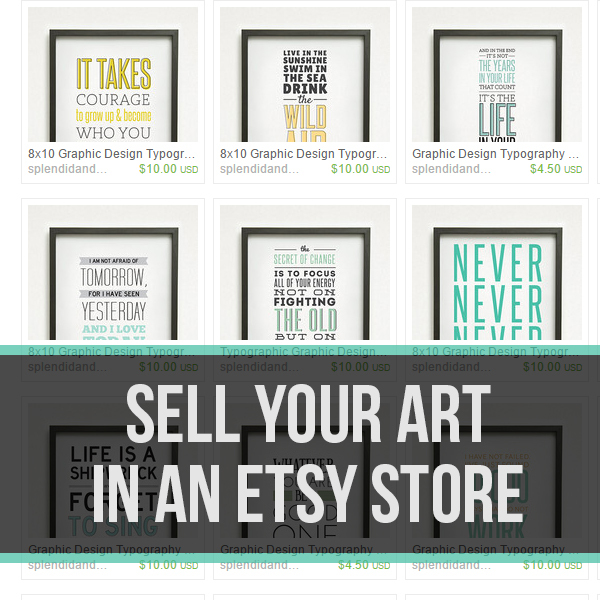 Why not set up an Etsy store and sell your work there? The huge advantage to Etsy is that, once you create a product or design, you can resell it as many times as you need to. Simply post sample design products for sale and, once they are purchased, they are electronically downloaded to the customer’s computer. Splendid & Sound – sells typographic artwork. Seriously, I actually want a few of these! Boss Pigeon Creative – sells all different kinds of custom graphic design work. Cherry Pink – sells digital scrapbooking and design elements, such as digital paper and clipart. This is certainly a thriving market to enter in to. But it’s also a very competitive one. If you want to stand out, you really have to think about who your audience is, why and what you are going to be producing and how you are going to offer a unique advantage to your customers. Understandably, this can seem completely overwhelming. There are so many different ways to make money on Etsy, it can be hard to decide which specific niche you are going to fill. However, you are not alone. There is a great article providing ten expert tips for selling graphic design on Etsy. I highly suggest checking this article out and gleaning any possible tips you can from it. 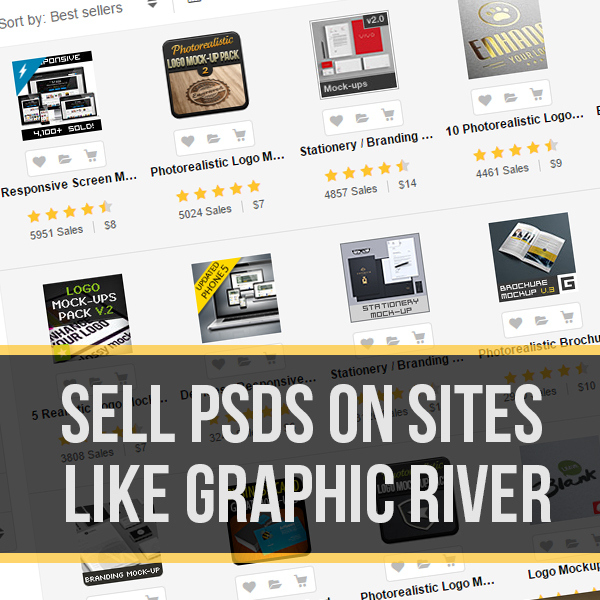 Did you know that someone made $47,608.00 from selling one PSD template on Graphics River? The template he sold was a Responsive Screen Mockup Pack and it got almost 6,000 sales at $8.00/sale. This is just one of thousands of stories of people who made insane amounts of money from one or two psd template. Of course, this is an incredibly competitive market to begin selling in. There are hundreds of designers selling hundreds of templates. Below are my three tips for how to really tap into the market. Tip #1: Sell PSDs that provide value to other designers. Using our example above, what did the designer sell? A responsive screen mockup pack. This has huge value to many, many designers, which are the target market of places like Graphic River. Tip #2: Don’t upload one PSD and call it a day. The most successful products are robust packs, including different variations of the same general product. (Ex., different angles of the same responsive screen). The customers feel like there are getting more for their money and it adds more value to your product. Tip #3: Capitalize on current trends. It’s obvious why a responsive screen mockup would be in demand; it’s a current trend and there are many designers jumping on that band wagon. Things like Parallax themes, flat design elements, and responsive web design are all going to be in high demand at the moment. Where can I sell my PSDs? There is a great article written on Creative Bloq that lists fifteen different places you can sell your work, along with an in-depth description of each site. Here’s a link to the list of sites that sell PSDs. 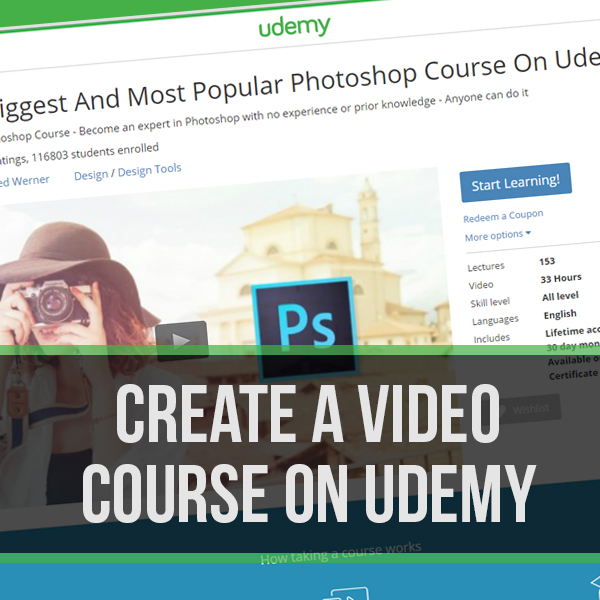 Obviously, you can sell the video course anywhere, not just on Udemy. The huge advantage to creating a video course is that it is something you create once and are done with. After creating the course, all you have to do is promote it to your audience and you have a solid product that will sell itself over and over again. Video courses have become more and more popular over the last few years and there is no reason why you shouldn’t take advantage of this. There are many different angles you can come from when creating a course; Photoshop & Photography, Photoshop for Beginners, Photoshop & Digital Manipulation…the list is endless. It is important, however, to make sure to find a focus, since there are so many general Photoshop courses. You need to do something that will help you stand out. Should you sell a course on @udemy? 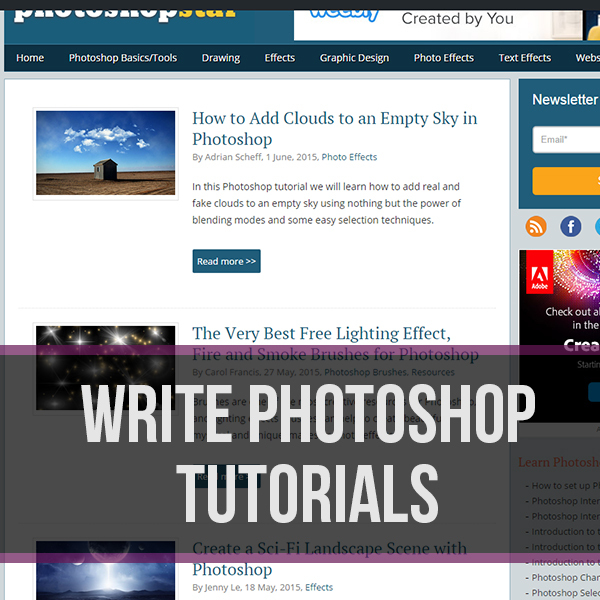 If you have been working with Photoshop for a few years and want to share your knowledge with others, you can make money writing Photoshop tutorials. There aren’t a lot of places taking new tutorials at the moment but below is a list of three of the best places to write for. Photoshop Star – payment is based on the quality of your work. Provide a quality tutorial and you will get quality payment. TutsPlus – payment is based on the quality of your work. This can be generate quite a lot of money, depending on how many tutorials you write. Design Stack – they are looking for high-quality designer to contribute tutorials to their site and they pay excellent rates. Do you find yourself creating a lot of different Photoshop resources as you go about your work? Why not sell them and make extra cash? Selling your graphic creations can be a good way of making some pocket money, especially if you’ve got leftovers from your own or client projects. The good part is that they will keep on bringing you money, at least as long as they’re online. 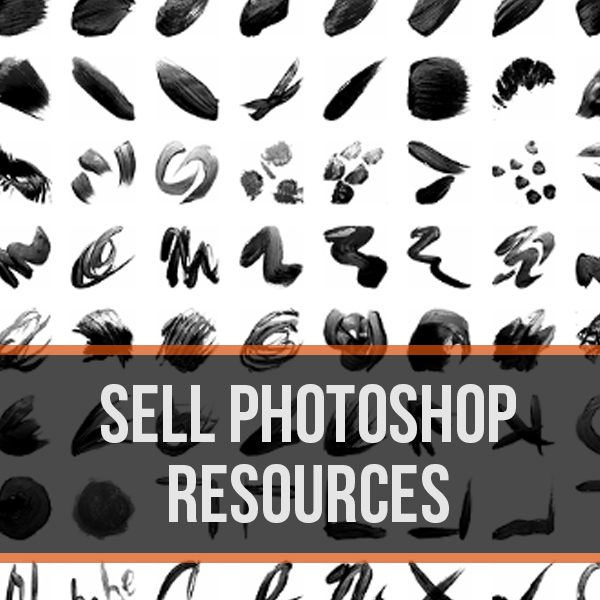 Photoshop resources include anything from textures to brushes and can be sold in many different places online. Pxlyes wrote a great article listing the different places these resources can be sold. In conclusion, we have gone over five different ways to make money with Photoshop. Did I miss anything? Feel free to leave a comment with any questions or suggestions.